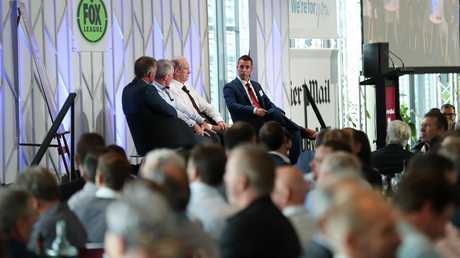 Queensland's NRL leaders will face the hard questions on March 4 when they take on the state's best sports journalists - and the fans - at The Courier-Mail 2019 NRL Season Launch Lunch. Broncos, Cowboys and Titans coaches Anthony Seibold, Paul Green and Garth Brennan - as well as each club's captains - will face-off with Peter Badel, Robert Craddock, Paul Malone and Travis Meyn in a panel discussion about all the big talking points of 2019. Held at the Royal Convention Centre in Bowen Hills, tickets to the all inclusive lunch are available to the public here. Hosted by Fox League presenter Yvonne Sampson, the lunch will feature an audience Q+A with Seibold, a sit down interview with NRL CEO Todd Greenberg, as well as appearances by Queensland rugby league greats and The Courier-Mail and Sunday Mail columnists Darren Lockyer and Gorden Tallis. It's the second season launch hosted by The Courier-Mail, with last year's event popular with punters and pundits alike. 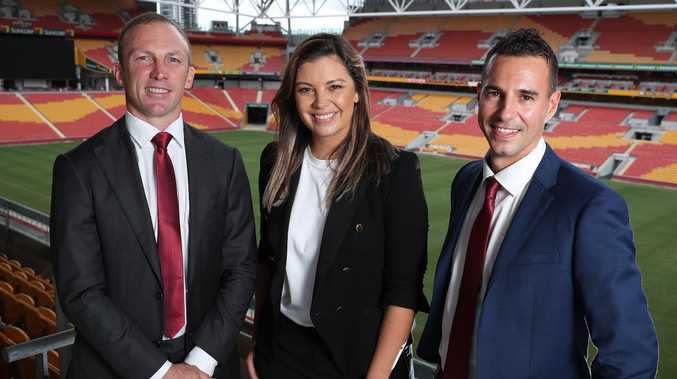 Ladbrokes and Fox League are among the key partners helping to bring the game's brightest talent to Brisbane to kickstart the 2019 season. After a troubling off-season for the game, Greenberg will outline his strategy for the year ahead.